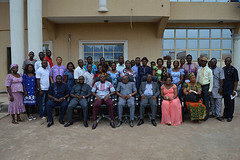 Prof Eric Eboh, gave the advice when he led his team to commission the transplant of tomatoes nursery and to distribute farm inputs to tomatoes and vegetable farmers at Hon Paul Okpue’s Farm at Iyi-Abi off Ibusa Road, Asaba. The ceremonies under the Production and Processing Support Programme (PPSP) were carried out in collaboration with the Ministry of Agriculture and Natural Resources. The items distributed were 16 litres capacity knap sack sprayers, insecticides and herbicides. 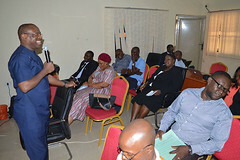 Presenting the farm inputs to tomatoes farmers drawn from the 3 Senatorial Districts of the State, Prof.Eric Eboh reaffirmed the State Government’s commitment to bringing prosperity to all Deltans through farming. He explained that each pack is a full-fledged support for a hectare of tomatoes farm, commending Hon Okpue for facilitating the programme by offering his farm as a pilot project which has progressed from the stage of provision of hybrid tomatoes seedlings sometime ago to the present stage of nursery transplant. Prof Eboh said Governor Okowa has prioritized agriculture through his SMART agenda using the value chain approach, disclosing that a committee has been constituted to work for agricultural market support with emphasis on piggery, fishery, poultry, tomatoes and cassava. 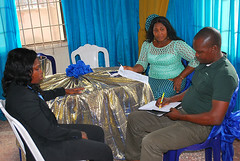 He advised crop farmers under the Delta State Youth Agricultural and Entrepreneurs Programme (YAGEPreneurs) to focus and invest more on high yielding crops in order to achieve 2-3 cropping circles in a year. 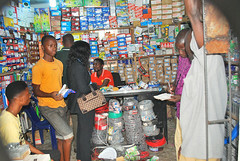 He tasked farmers to produce for the market with the mind set of being business oriented so as to create job and wealth. While lauding Hon Okpue’s introduction of an innovation, “Drip Irrigation System’’, a technology that promotes all year farmingOn his part, the Hon. Commissioner for Agriculture and Natural Resources, Mr. Austin Chikezie, remarked that Governor Okowa has translated his promise of prosperity for all Deltans into action through his commitment to the development of the agricultural sector. He thanked God for the Governor’s foresight, praying for great productivity and harvest for farmers across the state. Earlier, Hon. 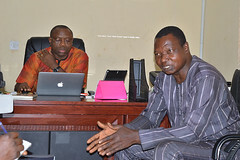 Paul Okpue appealed to the state Governor to adopt and provide for farmers an Israeli innovation, “Drip Irrigation System,” to enable them to farm all year round especially in Ogwashi-Uku and Issele-Uku areas where there is shortage supply of water. According to him, the Drip Irrigation System is cost effective, enhances greater yields and makes farming attractive to youths. He however commended the Governor, Senator (Dr) Ifeanyi Okowa, for this unique opportunity of creating a synergy between the state Government and farmers. In their separate remarks, Mrs Nkem Ofili, Mr Joshua Omovigho and Mr Kingsley Orode of Delta North, Delta South and Delta Central Senatorial Districts respectively thanked the Governor, Senator Ifeanyi Okowa for making farming easier for them and for bringing to reality his slogan, “Prosperity for all Deltans’’. 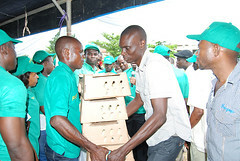 The high points of the events were the transplanting of tomatoes seedlings on the pilot farm and the presentation of the complete package of inputs to farmers.